Our Mercedes-Benz C63 AMG S Cabriolet comes in beautiful Obsidian Black with Black Nappa Leather interior, Black Seat Belts, AMG Performance Seats and 19/20" AMG X-Spoke Alloys. This is a beautiful vehicle, a true showcase of Mercedes-Benz and AMG performance, a calibration dating back to the mid 1900s. 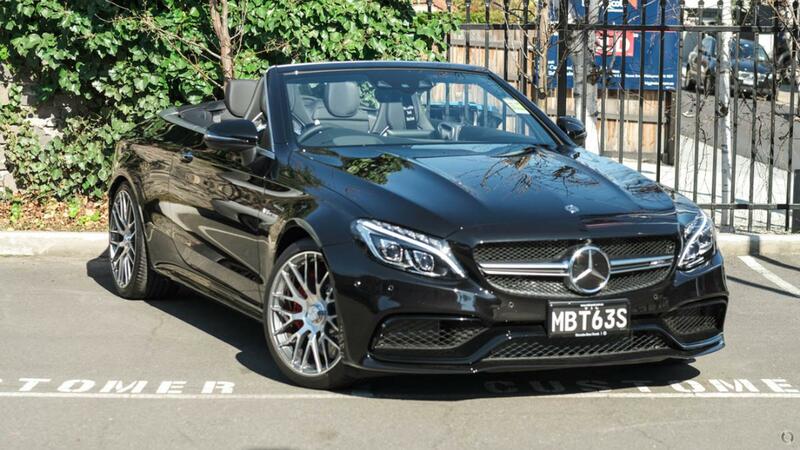 The C63 S Cabriolet offers performance, style and luxury into a vehicle designed to give enjoyment on the road. Ensure you make your next purchase through Melbourne's Best Kept Secret an intimate and boutique Mercedes-Benz dealership only minutes from Melbourne's CBD with over 90 years experience. We offer exceptional customer service and provide the best possible Mercedes-Benz purchasing experience right throughout your ownership journey. We have professionally trained Sales and Finance teams and can provide you with the best Mercedes-Benz product, Mercedes-Benz Finance and Insurance packages, tailored exclusively to your individual needs. Interstate enquiries and trade-ins are welcome. We look forward to seeing you very soon. Make time for a test drive. Note: The declared fuel and energy consumption figures are determined by testing under standardised laboratory conditions to comply with ADR 81/02. Real world consumption is influenced by many additional factors such as fuel quality, individual driving style, load, traffic and vehicle condition. The declared consumption figure should only be used for the purpose of comparison amongst vehicles.